Practice your short game anywhere, anytime you like. Our portable golf greens are built to help you master your game indoors or out. Our portable golf greens can help improve your game by allowing you to work on your short game virtually anywhere there’s a flat surface. With a portable golf putting greens by SYNLawn Golf, you’ll be able to practice your stroke anytime, anywhere, in any weather. Enjoy the convenience of a portable putting green that goes wherever you want it to, indoors or out. Get quality practice time right in your home or office! 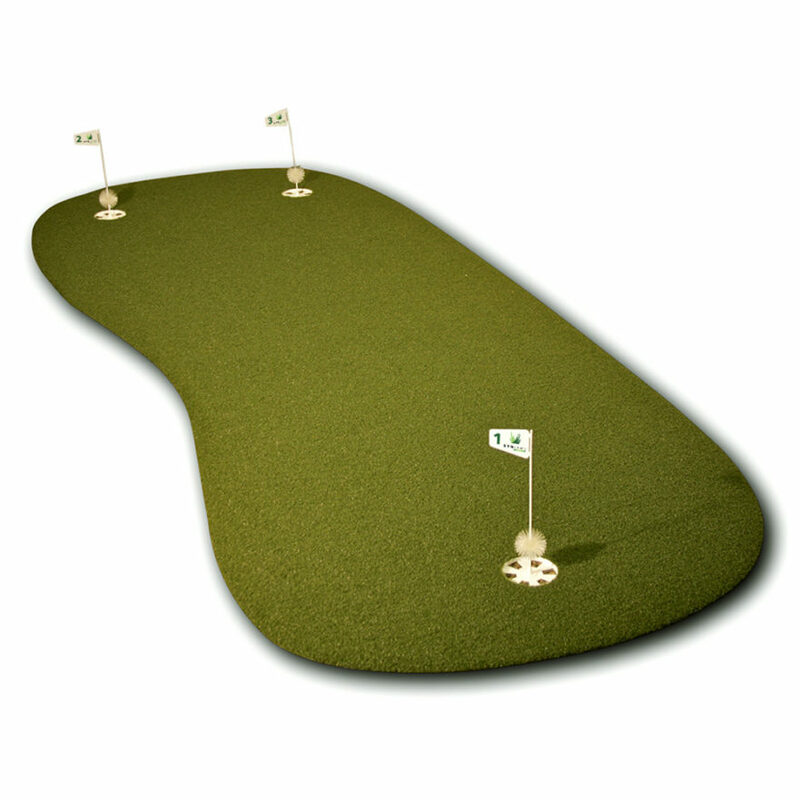 SYNLawn Golf putting greens are made using a nylon top cloth for the most realistic putting practice you can get. They’re also durable, stain-resistant and color fast. Every portable golf green is even covered by a one-year warranty. The materials are UV stabilized to withstand the sun’s rays for outdoor use. SYNLawn Golf offers two sizes of portable golf greens to accommodate just about any standard size residential room or office space. 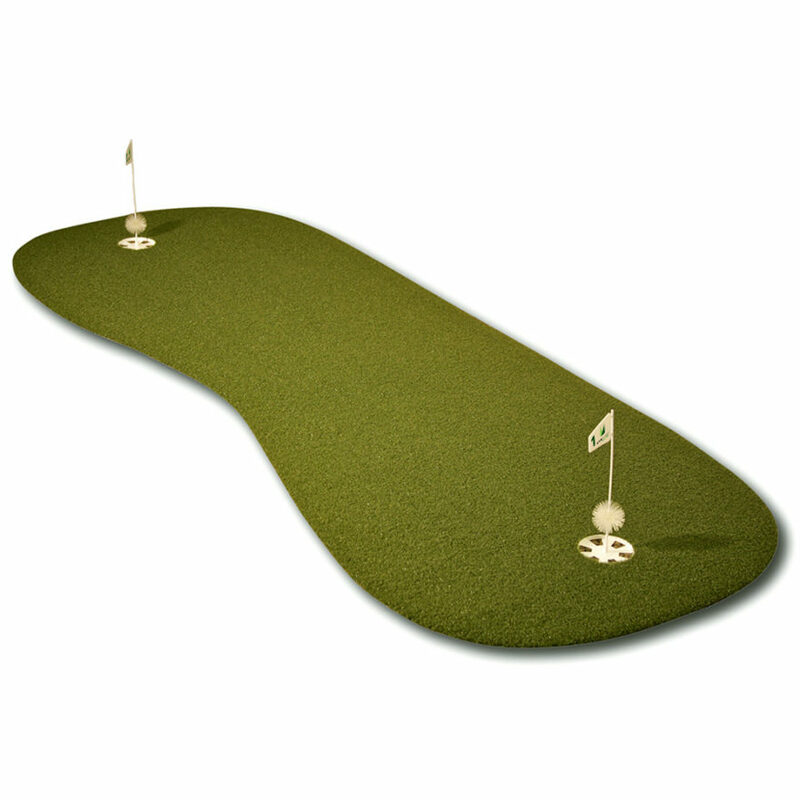 Indoor portable putting greens are a great way to build your putting skills in your spare time.